A creamy purée of celery root and cauliflower topped with garlicky sautéed chard makes a simple, rustic side dish. Meet my new favorite purée, a creamy combination of silky soft cauliflower and celery root. It’s a quiet and perhaps unfamiliar combination as far as sides go but it’s supremely comforting and rather elegant when dressed up nicely with a pile of garlicky greens. It’s just the type of dish I get excited about and want to eat for days on end. Celery root and cauliflower are my white vegetables of choice here because of their creamy texture and mild, almost nutty (verging on grassy) flavor that makes them a nice change of pace from the mashed spuds we all grew up on. 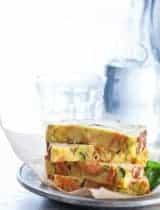 Not to mention that they make a lovely low-carb stand-in for the traditional side, although I’d argue that they taste so good together they shouldn’t really be considered a stand-in for anything at all. 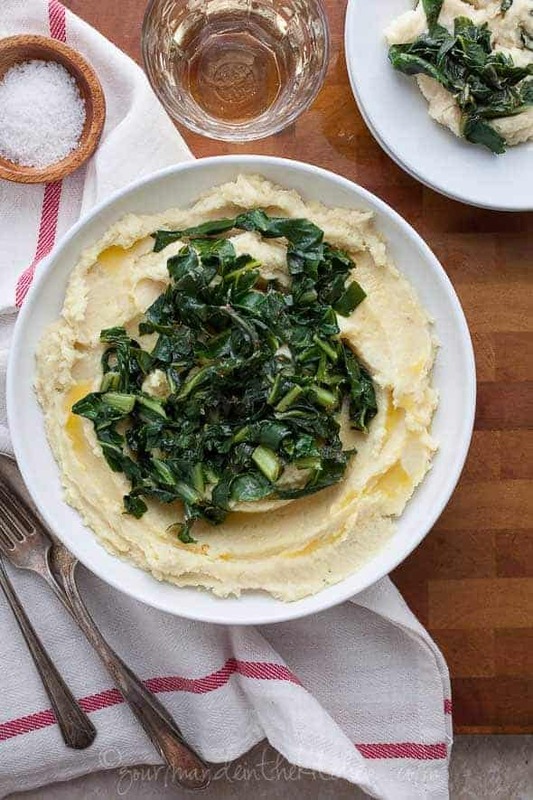 Once steamed and whizzed up vigorously in the food processor with a few pats of butter (or olive oil for a vegan version), the creamy mash is ready to be served with no further action on your part but I do think it really shines buried under a mound of crumpled green chard. The splendidly silky garlic infused greens add an extra layer of flavor and dimension to the dish while a pinch of red pepper adds a welcome hint of heat. 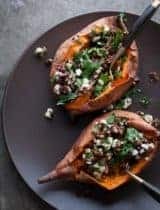 This is the kind of side that fits right into a busy weeknight dinner as well as a fancier affair and I suspect it will be making a repeat appearance at my dinner table this holiday season. What’s your go-to side dish for the holidays? Just lovely, Sylvie! Your alternative to mashed potatoes will be a welcome addition to our primal/paleo Thanksgiving Day table (our 4th year in a row). 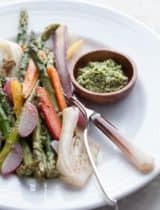 Love that you added greens laced with garlic for a special edition of this simple yet elegant dish. Thank you for sharing! Dying over this recipe. Could eat this every single day. Love the idea of adding a dose of greens and garlic to the mix! Looks beautiful. Love this idea. I am not a big fan of potato mash, but this one sure looks really nice. Beautiful pics as always. I love this as an alternative to mashed potatoes. The garlicky greens make a wonderful topper! Sylvie - so glad you posted this! 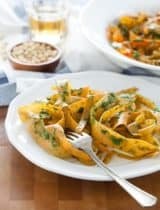 I just got celery root in my CSA Box yesterday and was wondering what to do with it. I eat a lot of paleo and a ton of greens. This is right for me and makes me want to go purchase some celery root right now. This certainly looks a lot healthier than my usual cream of cauliflower soup... otherwise known as puree of cauliflower and butter. Added to my Thanksgiving menu! This looks fabulous!!! This reminds me of colcannon, but with more complexity. I finally bought a few celery root bulbs at the market last week, too! I just found your blog I love it! 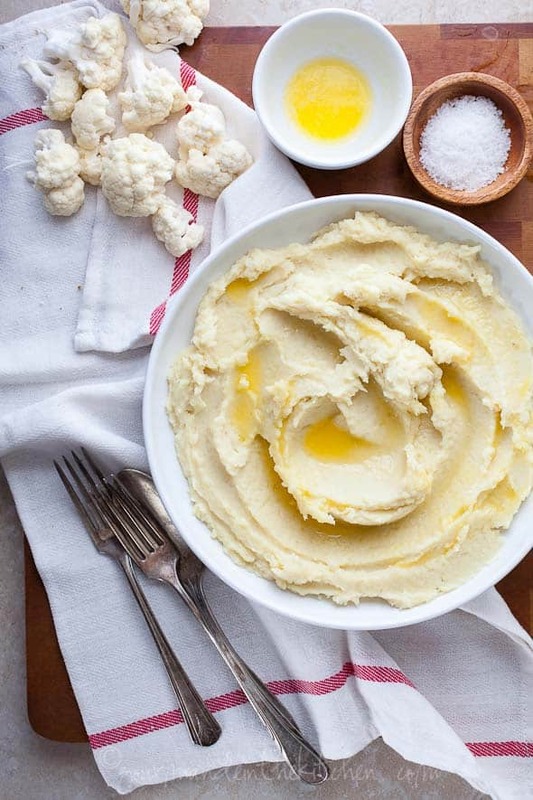 you had me at cauliflower puree! This looks so good. 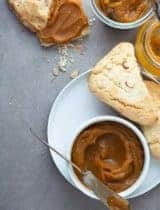 Such a gorgeous recipe! I love all the hearty fall flavors represented. First time on your blog and loving it. Such a delicious recipe! I like your idea of combining celery root and cauliflower together - I must be really creamy puree. Love your photography too. Ryan and I were just talking about how we wanted to try something new for Thanksgiving. We are bored with mashed potatoes. Clearly this is the recipe for us to try! What a lovely dish and I love the addition of celery root. I could eat that whole plate and be very, very happy! This looks amazing, Sylvie! I once made a cauliflower based hummus, but it didn't look nearly as creamy as this. I'll have to try it! 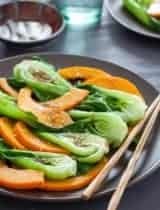 Beautiful and healthy side dish! 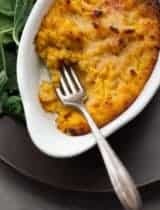 I love cauliflower puree and it sounds like the celery root woks great, I want to try this! Wow. This looks good. I'm bookmarking now! 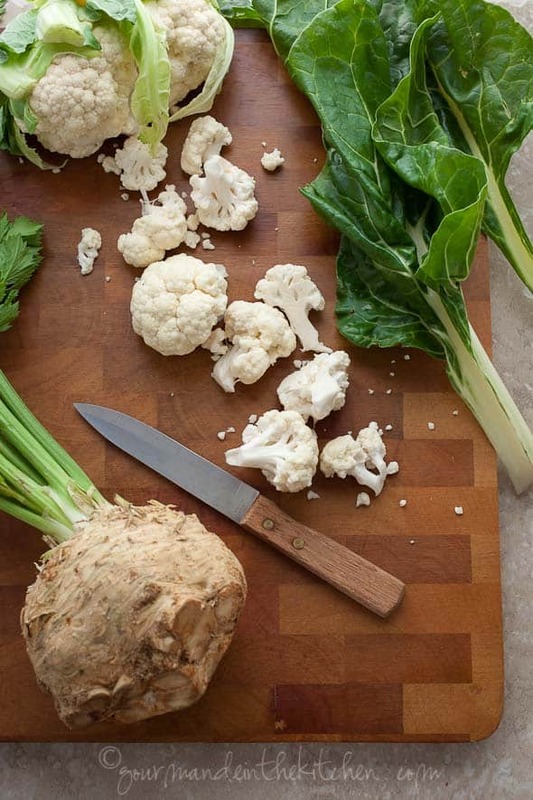 I have never tried cauliflower with celery root but it looks mighty good! This sounds absolutely divine! I'm going to be making it for myself this week...I'm thinking I'll also be adding it to our Thanksgiving meal menu. Delicious and looks so comforting! I need to try celery root in mash or puree's. The cauliflower is a bit more predominant here, with the celery root adding depth to the background. Celery root (or celeriac) if you haven’t had it before is one of the uglier things in the produce section. It is not actually the root of the celery, but more of a cousin, imparting the celery flavor in a root version. And of an interesting note, unlike other root vegetables, celery roots has a relatively low starch content (5-6% … thank you wikipedia ). this makes a beautiful presentation and it sounds divine! This was great! Thanks so much!! We had it with sole meuniere. Loved this recipe. Excellent. Thanks. 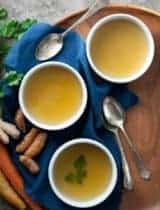 Any idea how long to cook celery root and cauliflower in the Instant Pot? I haven't tried it but my best guess would be about 3-5 minutes on high using a steamer insert in the instant pot and quick release.